Do you want to be DEBT FREE? Being in debt is stressful! Knowing you owe someone money and trying to keep track of it all can be difficult if you try to wing it. It's easy to overlook something or become overwhelmed. 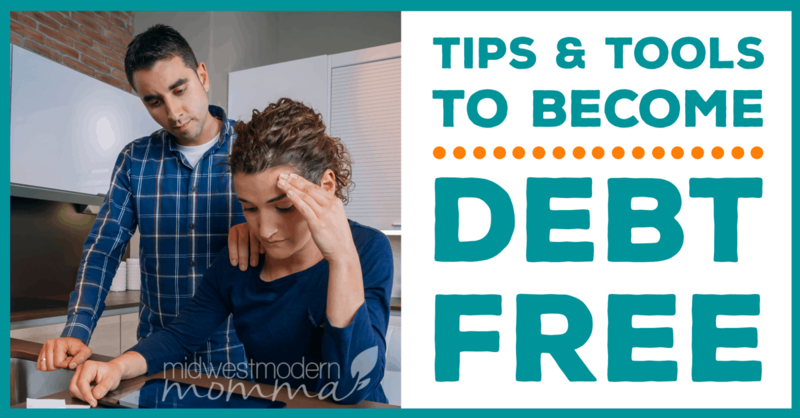 Use these tips for paying off debt the easy way without stressing out! 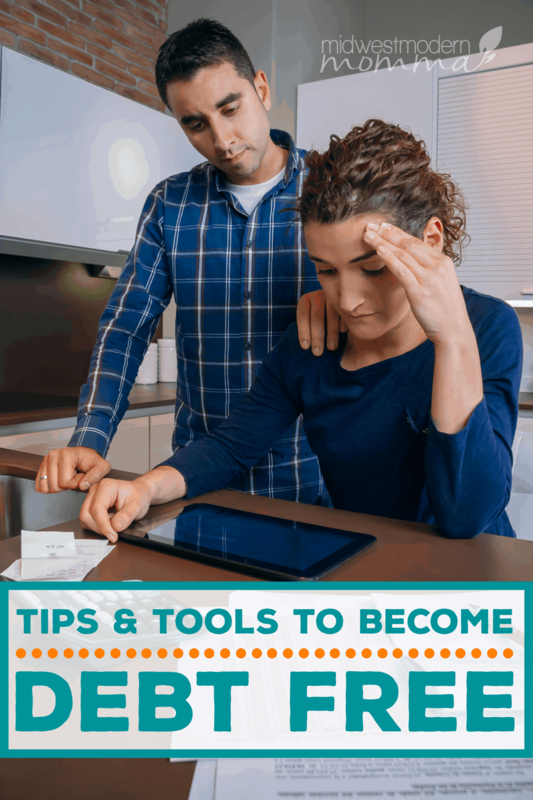 Recently, we talked about How to Manage Money When You're Broke and I mentioned some of the things we did to get out of debt. This week, we're going to go over them and other ways to get out of debt. Locate All Debt: Go through every bill in your file & make a list of each debt. Write down who you owe, how much, and the current interest rate. Then, pull your free credit report from annualcreditreport.com and write down anything you missed. If you really want to get debt free, this is where you have to begin. Validate Your Debt: If you read my post about how to manage money when you are broke, you know how necessary validating your debt is to eventually become debt free. It's important to pay everything you owe, but not what you don't! Debt validation is very simple. Use this form letter, send it certified mail, and if they don't provide validation within 30 days from the debt of receipt, they have to remove it from your credit report & can't try to collect on it. Unfortunately, they may still sell that debt to someone else, even if you've already paid it off so make sure you respond to anything you are uncertain of with a debt validation letter! Prioritize Your Debt: If you have enough money to pay the minimum on everything, do so! If not, figure out what is the most important right now. If you are able to pay extra on debt, determine how you are going to prioritize the extra payments. Do you want to pay highest interest rates first? Pay smaller bills so you can get a sense of accomplishment? Or do you want to focus on student loans so you can go back to school? If you want to use the snowball method (paying smallest first), here is an easy to use spreadsheet to keep track. If you prefer to pay off higher interest rates first (called the Debt Avalanche method), this is a great spreadsheet. There are advantages and disadvantages to both methods, so I recommend doing what feels right to you. Just make sure you have all your household bills current and an emergency fund set up before you start paying extra on debt payments! Ask about a Settlement Offer: Put all settlement offers in a separate file. When you have any money not already spoken for, go through the file and see what you can pay off. If it has already expired, call them & see what they are willing to offer if you pay today. Reach out to companies that haven't offered one when you get your income tax refund & see what they are willing to offer. Write down everything and then go through them. How much money can you afford to spend to pay off debt right now? Which debt/s could you pay that would help you the most in the long run? Getting debt free is a process that takes consideration sometimes. The thing about a settlement offer is that whatever you don't pay off that they forgive, is considered income on your taxes. The amount they forgive, you will receive a statement for as if it was income at the end of the year. You'll have to count that as income and will have to pay taxes on the amount. Is this something you are willing to do? Before blindly accepting a settlement offer, consider how much it will change your end of year taxes. Avoid Debt Consolidation Scams: It sounds like a great idea, I know! Roll all your payments into one low payment and the collection calls stop, right? Wrong! Debt consolidation falls into 2 categories: loans and counseling. Loans may be an option if you went through a temporary struggle and are back on your feet, but they turn unsecured debt (money you owe with no collateral) instead secured debt (where you give your assets as collateral). If you hit another bump in the road, you could lose your house or car! The other option is debt counseling. Normally, you provide them information about all your debt, authorize them to talk to your collectors, and then pay the counseling agency directly. They take a cut of your payment for fees and then pay your collectors. Trust me, the work they do is no different than what you can with the steps above! As you are working through to locate and track all of your debt, it's important to find a method that works for you. I have shared some spreadsheet options below for those that like to keep things digital. I've used and recommend the Dave Ramsey Financial Freedom Planner. It is simply sound financial advice, and the printed planner can really help you track everything in one place. 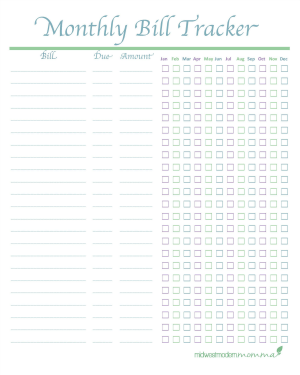 If you prefer the old-fashioned pen and paper method, I loved the Organized Mom Budget Book. It is a simple budget planner that you can keep in your bag or with your bills and use to track everything from monthly expenses to your current debt payments month to month. For myself, I ended up making a financial binder to help me keep track of everything. I keep all my bills in there, receipts to help me track my spending, and monthly calendars to track what bills are due then. I keep my debt tracking printables in there too so all my money related papers are in one place. No matter what order you plan on paying off debt, the important thing is to keep going! Every extra penny needs to go toward getting debt free, until the only thing you owe is the house payment. After that, you need to build up a full emergency fund! Subscribe to snag your FREE Printable! Subscribe to grab your FREE Monthly Bill Tracker Printable and receive our newsletter full of ways to manage your finances and save money! Success! Now check your email to confirm your subscription & grab your free printable!